Item # 316529 Stash Points: 2,195 (?) This is the number of points you get in The Zumiez Stash for purchasing this item. Stash points are redeemable for exclusive rewards only available to Zumiez Stash members. To redeem your points check out the rewards catalog on thestash.zumiez.com. 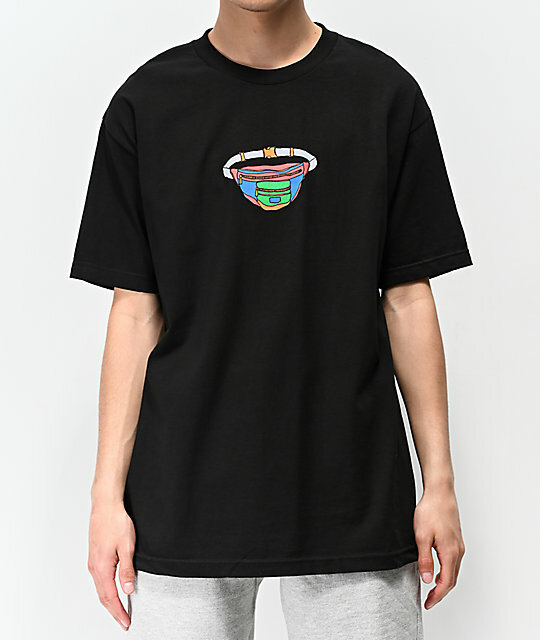 Inspired by modern fashion trend, Know Bad Daze presents their lighthearted "Corner Store" Black T-Shirt. 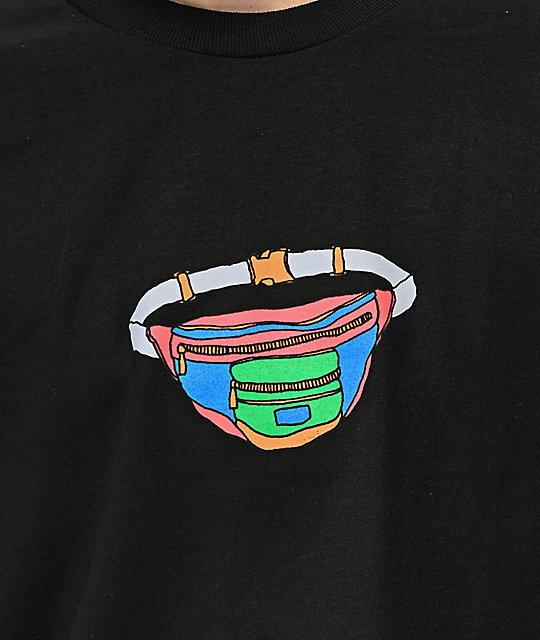 Made from a classic cotton construction, this soft garment features a colorful graphic of a fanny pack upon the chest while the back displays the words "Corner Store" in quotation marks. 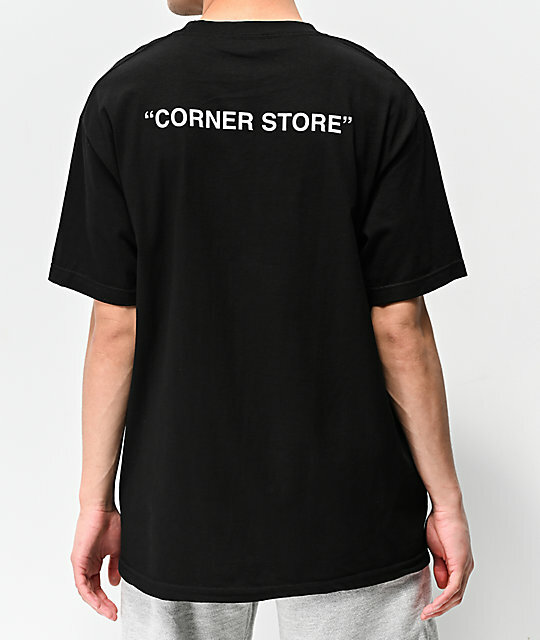 "Corner Store" Black T-Shirt from Know Bad Daze. Screen-printed graphic on chest, text on upper back.